College basketball has been rocked by an FBI investigation into corruption. On Tuesday, TNT analyst and former NBA star Kenny Smith said the NCAA needs to fix what’s become a “predatorial” system. Smith said one of the biggest issues is that players don’t have any representation, which pits the rules against them. The college basketball world has been rocked by an FBI investigation into corruption and shady recruiting tactics. The probe, which remains ongoing, has shone a light on underground payments made to prospects and their families to go to schools and sign with agents, as well as other businesses. 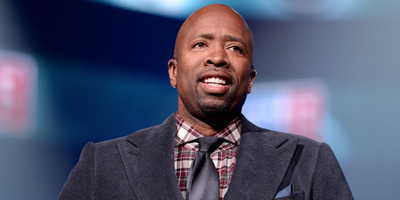 On Tuesday, speaking from the NCAA Tournament media day, TNT analyst and former NBA star Kenny Smith said the college basketball system has become “predatorial” and needs fixing. Smith harped on the reported recruiting tactics of coaches, agents, and businessmen, saying that 50-year-olds are targeting 17-year-old high-school prospects. He said if the same practices were going on in another industry, the justice system would have acted quicker. Smith said the system could improve by giving players “representation,” thus allowing both sides to have negotiations about the system. Smith said players should have lawyers on their sides negotiating the rules with the NCAA to come up with a better system. In light of the scandals in college basketball, many critics have spoken up potential ways to try to fix the system. The NBA is reportedly considering changing the league’s age limit and finding a way for high-school players to bypass college and join the league. LeBron James suggested creating a farm system, which, coincidentally, the NBA may already have in place with the G League. The NCAA Tournament begins on March 13.